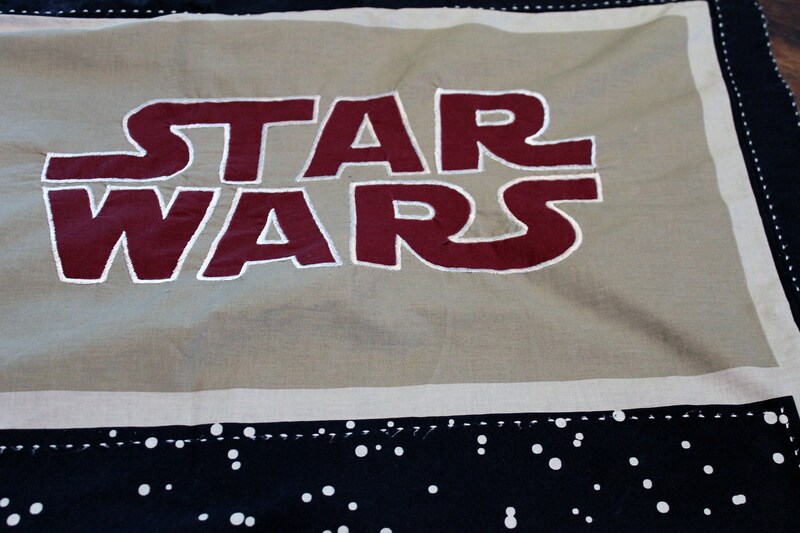 Vintage Star Wars pillowcase. 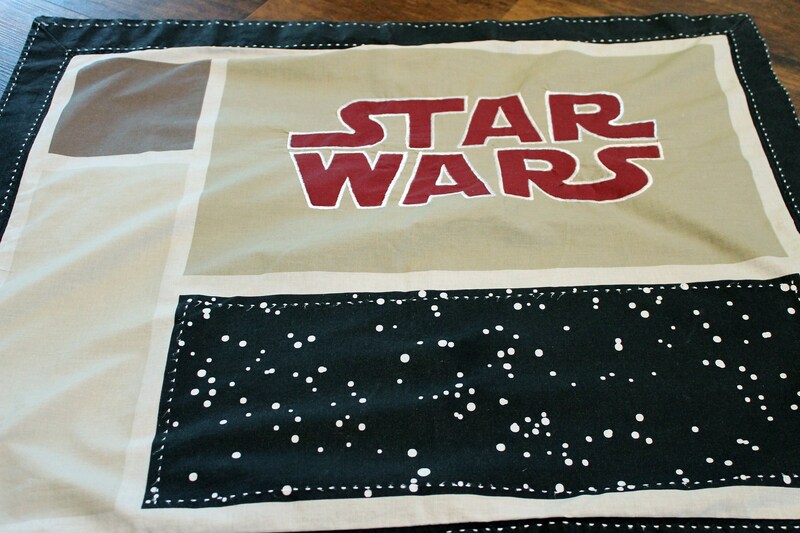 The pillowcase is tan one side, with black accents and the "Star Wars" appliqued to the front. 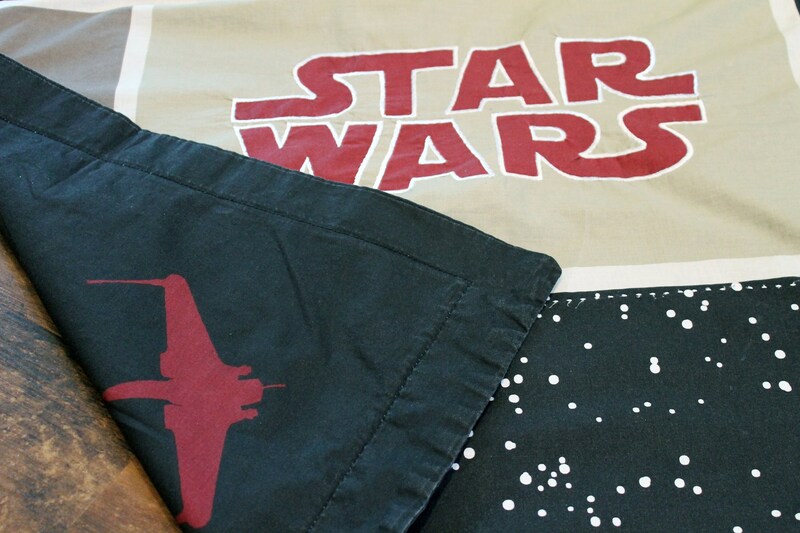 The back is black and features one burgundy x-wing fighter. Condition: This pillowcase has been used, but is in very good condition with no holes, stains, fading or pilling.